Johnny Richardson practices in a wide variety of subject areas, including general civil litigation and trial and appellate work for clients. He is a former General Counsel for the State Board of Registration for the Healing Arts. 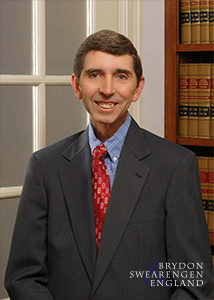 He frequently represents physicians and other professionals in licensure and disciplinary proceedings before the Administrative Hearing Commission and the numerous professional licensing boards in Missouri, including the State Board of Registration for the Healing Arts, the Bureau of Narcotics and Dangerous Drugs, and the Drug Enforcement Administration.